If hackers can maneuver their way into the accounts of top US officials who, for sure, is being protected with high levels of security by the NSA… how easy do you think it is for them to get into yours? Hacking and cyber-criminal these days will do anything to milk some money out of their unsuspecting prey… And that prey, unfortunately, could even be you. That is why you must take some precautionary measures in preventing such from happening to you. Email hijacking is one of them. 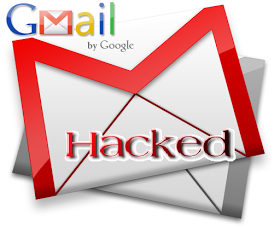 I will show you how to easily know if someone has currently logged in to your account, or using your account or your gmail has been compromised. 1. Go to the Gmail homepage using a computer. Not on your tablet, not on your phone, but on your computer. 2. Log in to your account using your username and password. 3. Once you’re in, scroll down to the bottom of the page on your screen. 4. On the right part of the screen at the bottom, look for the part that says “Last Account Activity”. Click on that part. 5. Under “Last Account Activity”, you’ll see a list of the last 10 times your account, indicating the IP address of the computer or device as well as the where you accessed it from. If any of the IP addresses seem unfamiliar or suspicious, change your password immediately— just to be on the safe side. Unfortunately, this features is only available to gmail. Other email providers like yahoo and MSN are still juggling up to meet up.